At Mazda, we pride ourselves on building more than just machines that get their passengers from A to B. We believe that a car can be a work of art in both how it looks and how it feels to drive it. As a result our dedicated team of engineers works tirelessly to build some of the finest vehicles in the industry and the critics clearly agree that all that hard work is paying off. After three category wins in 2018, Mazda became the most AJAC awarded brand in AJAC's more than thirty-year history. We have not seen this achievement as an opportunity to rest on our laurels, but have used it to inspire us to push further and improve our vehicles to make them even greater. 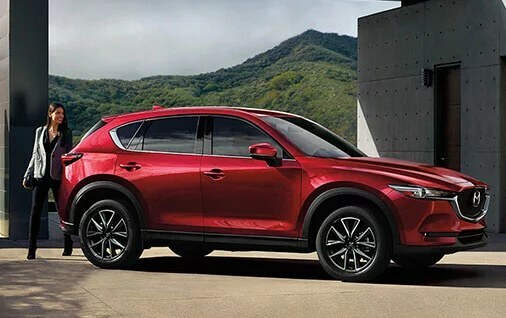 The 2018 Mazda CX-5 defended its position as AJAC's 2018 Best Small Utility vehicle by being crowned the 2019 Best Mid-Size Utility vehicle, same category, different name. Including enhancements such as cylinder-deactivation to further enhance fuel economy with gains of up to 20 percent improvements at city speeds, and approximately 5 percent on the highway, the 2019 Mazda CX-5 despite maintaining the previous year's exterior styling has many improvements under the hood. The introduction of the New Signature trim for the 2019 Mazda CX-5 now gives one the option of purchasing a CX-5 with a further increased level of sophistication with Cocoa brown premium Nappa leather and real Abachi wood trimmings that provide for an elegant and sophisticated interior. Mazda's 3 row crossover, the Mazda CX-9 also defended its title as AJAC's Best Large Utility Vehicle for the second year in a row. 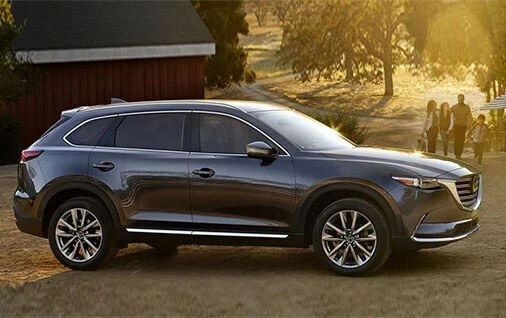 The 2019 CX-9's new features included Android Auto and Apple CarPlay as well as ventilated front seats that draw heat away from the seat as opposed to pushing cool air through it, and also a 360 degree view monitor to aid with parking and backing up, providing you with more information to better aid you in safely arriving at your destination. Couple these features with one of the best if not the best handling large utility vehicles on the market and you get what AJAC considers the Best Large Utility Vehicle in Canada. The new winner this year is no stranger to awards, the 2019 Mazda MX-5 and MX-5 RF were awarded the Best Sports-Performance Car award for 2019. This is testament to the fact that a great sports car is made by a lot more than just horsepower. The light-weight, balanced construction of the MX-5 combined with KODO's Soul of Motion design language create a vehicle that is as engaging to look at as it is to drive and given that the MX-5 and MX-RF are stunning works of design their drive certainly does not disappoint. Both vehicles are the embodiment of Mazda Jinba Ittai "horse and rider as one" engineering philosophy and it is clear that critics enjoy the feeling of getting behind the wheel of this amazing vehicle.